Well, it’s not really a calzone, but that is what I am comparing it to. 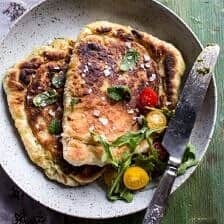 A Gozleme is actually a turkish flatbread, that’s made of hand rolled dough and brushed with butter (I used olive oil), filled with different savory toppings and cooked over a griddle (I used my trusty Stuab cast iron skillet). I looked up the meaning of Gozleme and found that goz is Turkish for eye. As the flatbread cooks, you will see little brown spots begin to appear, apparently these are the “eyes”. Traditionally, Gozleme can be filled with a minced type of meat, such as lamb, but there are many other types of fillings that can be used. I went opposite of meat and filled mine Gozleme with cheese, veggies and herbs. Typical, right? But hey, this leaves me with yet another Gozleme to try out. 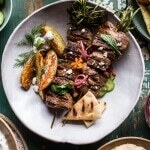 My next version will be lamb, and trust me, there will be MANY more Gozleme in my future. They are so good. No, for reals. So good. Also, I love when Monday includes this much cheesy goodness. Doesn’t it just make Monday all that much better!?! And fun? And delicious? Oddly, I am particularly excited for this Monday. One, because I have been dying to share this meal with you since the day I made it and two, because I am hoping that with the start of a new week it will also be the start of some new weather (Tuesday says mostly sunny and 49). I really hate to complain again about the weather, but well, I just have to (you know, shake it off, complain it off? Same sort of thing, right? Right.). It’s been cold, snowing and windy all weekend and umm it’s left me wanting to stay under my covers at all times and hide from life…if only I was fourteen again and could get away with that. 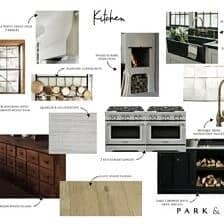 Someday though, when I am all on top of things, ahead with work and life and the house is semi clean I will have that day. That type of day I used have all the time when I was a teen. That kind of day literally spent in your pajamas, snuggling in your covers and watching re-runs of all the cheesy romantic movies on TV. Come on, you guys all know about this day, right? It’s typically a rainy day (hey, I lived in Cleveland!) and it’s just what every person needs every once in a while. I may be remembering them better than they really were, but then again, probably not. Lazy days rule. Just sayin. Ahh. SHOOT. Now I am realizing that I am probably making you all dream about the perfect lazy day on a Monday. SORRY. Next time, I will do this on a Friday, so you can wake up Saturday and have your perfect lazy day, but then make a killer dinner with an extra chocolate dessert cause that’s how all lazy days need to end. Oh, oh!?! What if I made us all a guide to the perfect lazy day? Like a list of all the movies, books, popcorn, cheese, cookies, pizza and ice cream that we definitely need to experience on our lazy day?? I’m not sure that guide is really needed, but it sure would be fun to put together! OK. stopping now. My mind drifts AND gets a little carried away. Sorry. Again. Not sure how I got so off track there, but let me get us back on track. 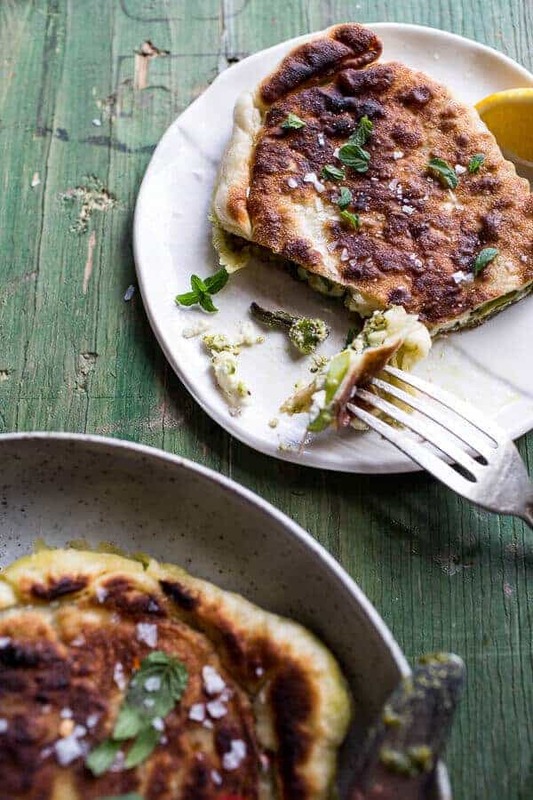 I know that these asparagus, pistachio pesto and ricotta Gozleme may seem a bit odd, but they really are very similar to making a calzone, only instead of baking, you use a skillet. So you see? They are better than a calzone, just for the simple fact that you don’t have to wait twenty minutes for them to bake. 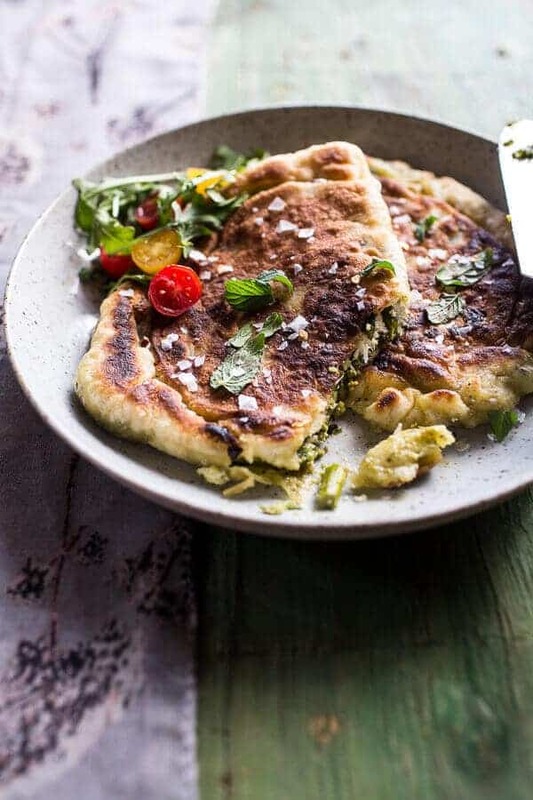 And by cooking that dough on the skillet, well it’s like eating a piece of stuffed homemade naan…beyond delicious. The options for fillings are endless. 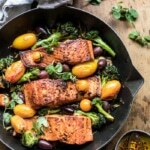 Trust me, I had a rather hard time deciding between a few ideas, but somehow I ended up with one that’s pretty perfect for spring – light, colorful and full of fresh herbs and spring veggies. I used a mix of ricotta and fontina, but if there are any vegans out there who might want to make this, you can totally leave the cheese out and swap the parmesan in the pesto for nutritional yeast. You can also use goat cheese if you just are not a fan of cow’s milk cheese. I think goat cheese would be so good. No matter what way you decide to make these, they’re gonna be awesome. It’s really all about that dough and cooking it on a skillet. It’s just a wonderful thing. Plus, it’s carbs, basil and cheese. Three of my most favorite things. To clarify, this is a calzone...only BETTER! To make the dough, place the yeast, honey and water in a small bowl and whisk to combine. Set aside for 5 minutes or until the mixture is bubbly. Place the flour and salt in a medium bowl and make a well in the center. Add the yeast mixture and stir together to form a dough. 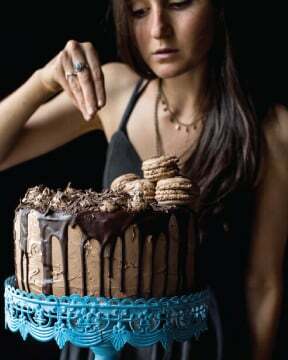 Turn out onto a floured surface and knead for 3-4 minutes or until smooth and elastic. The dough should be soft, but not sticky. Place in a large greased bowl, cover, and set aside in a warm spot for 15-20 minutes. While the dough is resting, make the pesto. 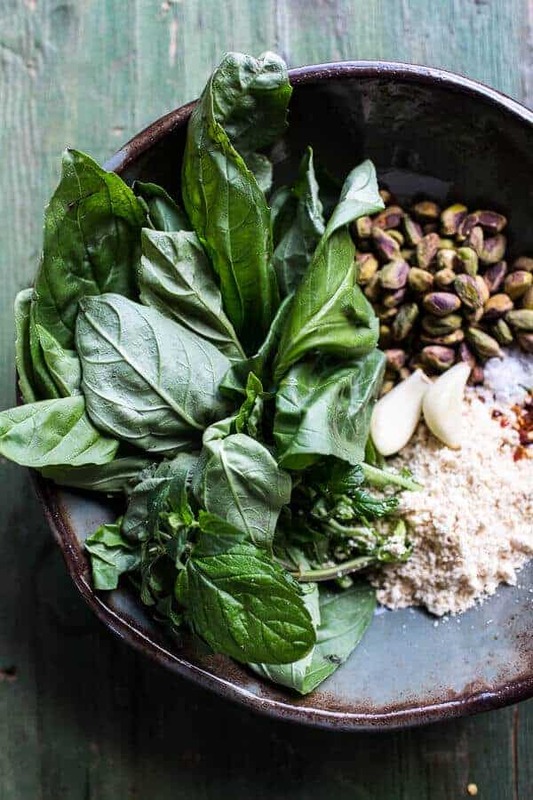 Add the basil, mint, parmesan, pistachios, garlic, olive oil and a pinch of salt to a food processor or blender. Pulse until until combined. Stir in the crushed red pepper flakes. Taste and adjust seasonings as needed. Set aside or store in the fridge for up to one week. Heat a large skillet, grill pan or grill over high heat. 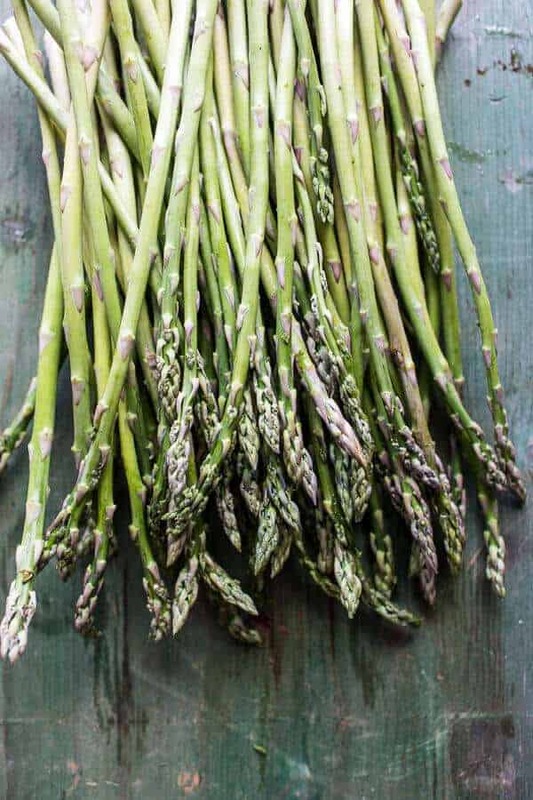 Toss the asparagus with a little olive oil, salt and pepper. Cook until lightly charred and tender, about 5 minutes. Remove and chop into 1 inch pieces. By this time, the dough should be ready to go. Turn the dough out and divide it into 4 equal pieces. On a floured surface, roll each piece of dough to an approximately 9 x 14 inch rectangle. Make sure your work surface is well floured, you do not want the dough to stick. Cut each rectangle in half to make 8 squares (or leave as 4 big rectangles for a larger serving). In a small bowl, mix together the ricotta cheese, fontina cheese and lemon zest. Place 2-4 tablespoons pesto on one side of each piece of dough, leaving a 1/2 border. Add an 1/8 of the ricotta cheese mixture and then a small handful of asparagus. Fold the dough over to enclose the filling and press the edges to seal. 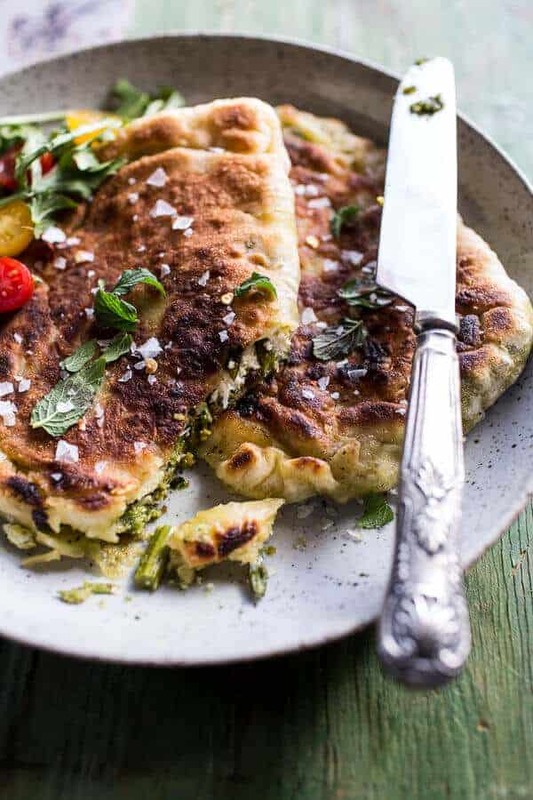 Repeat with the remaining ingredients, you may not need to use all the pesto. Heat a large skillet over medium heat. Brush both sides of the gozleme with oil (you may also use melted butter) and cook, in batches, for 3-4 minutes each side or until golden and cooked through. 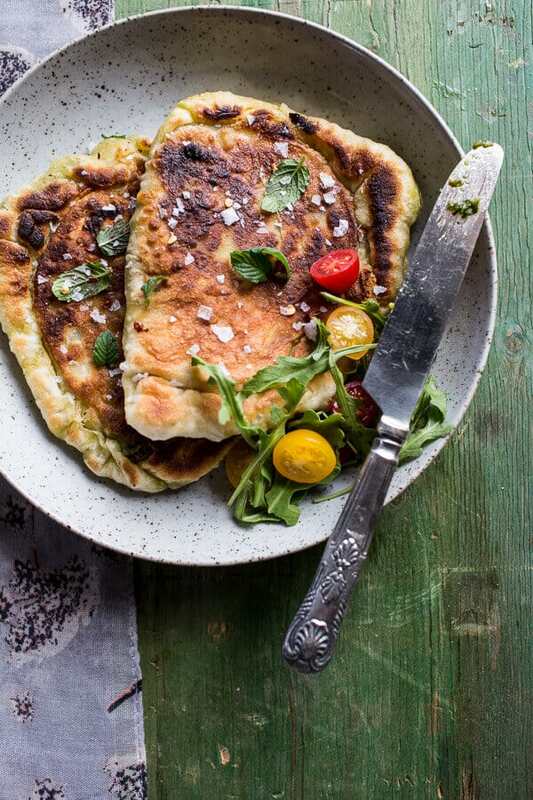 Serve with fresh basil, arugula and cherry tomatoes. Sprinkle with salt if desired. You really cannot go wrong with a combo like that. Oh, these sound so yummy! Anything stuffed inside of bread makes Mondays a touch easier. I LOVE Gozleme! I haven’t seen them in the UK since I’ve been here, but they’re in every kebab shop back in Australia. They are so freaking good. My mouth is watering just thinking about them! I sometimes buy Gozleme at a market in Rotterdam. They warm the Gozleme and add veg (sliced carrots, lettuce, etc.) and two delicious sauces, and then roll it up. Thanks for the recipe, definitely going to try it. 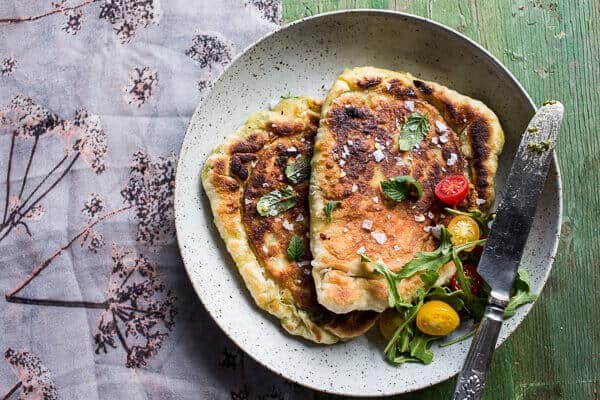 I have never heard of Gozleme….but now I’m dying to make them because what is better than a toasty cooked cheesy calzone….I love your blog for showing me things I’ve never heard of before. Tieghan these look so so delicious and I am loving that board! Did you painted that yourself??! Monday most definitely calls for ALL the cheese! 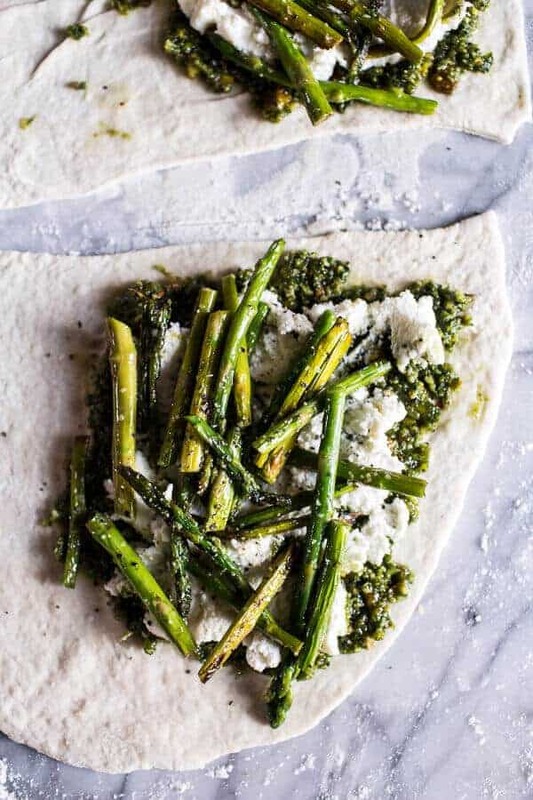 And Pistachio pesto is totally my jam….well, so is anything with carby goodness….and asparagus…and..well..I just need to eat this already! P.s Sending you warm weather wishes! Let’s jut say, whatever this is I am all for it! Oh man. 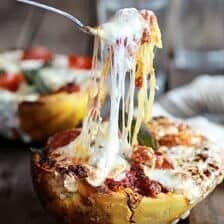 This looks like my dream dish! Definitely heading to the grocery store to get some asparagus. 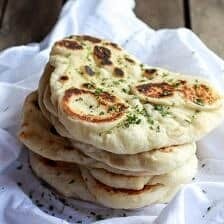 Uhm, love turkish flabreads, love naan, love calzones, and love this love child of a gozleme. I have never heard of a gozleme, but it looks off the charts! 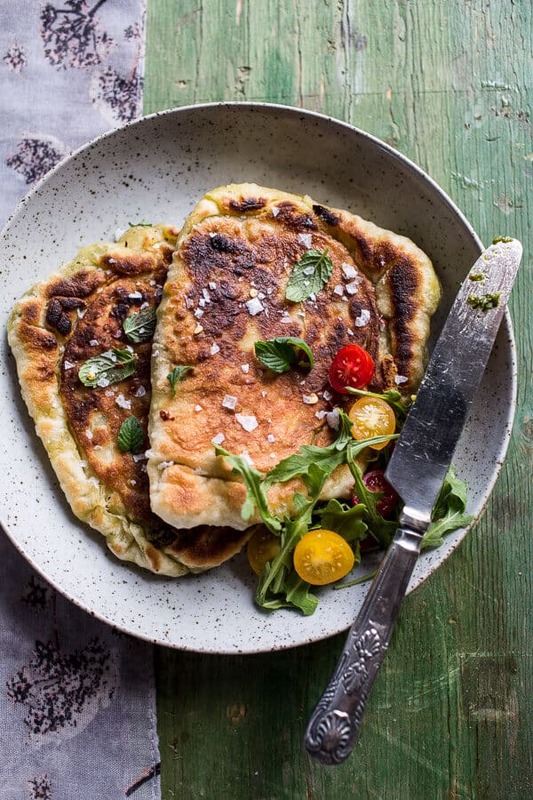 You and your flat breads! Seriously, where do you get these ideas?!!! 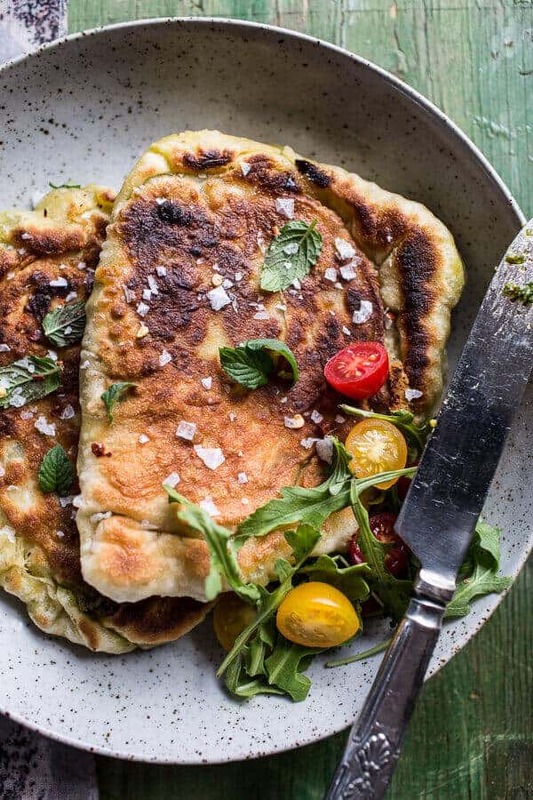 This looks way better than a calzone although anything with cheese and bread is pretty much a win! Yum! Oh my gosh. looks YUM. 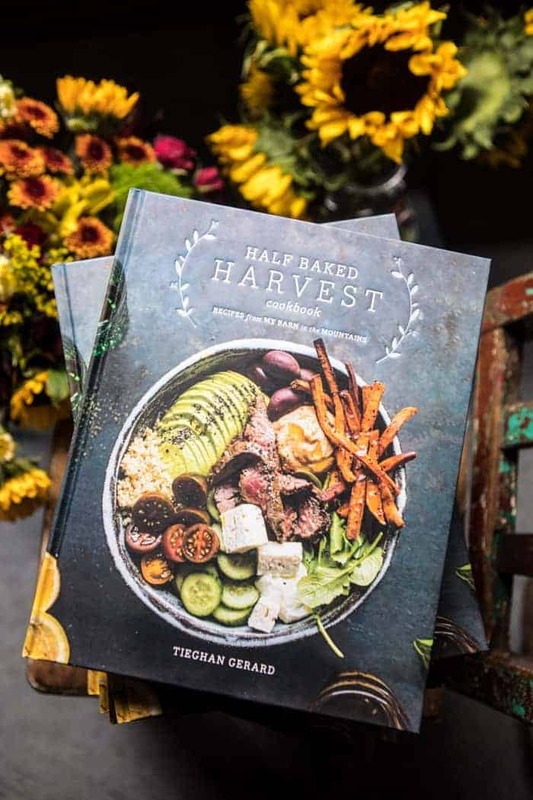 Thinking I can make this one for me..and Twik it for Gus..as he can’t have basil, aspargus.. lots of possibilites. Did a flat bread once with thinly sliced pears and Gorgonzola cheese..that would work inside of this lovely dough, too. Mushrooms..also in a filling.. thank you so much. Love your vegetarian take on the Gozleme! Any fried bread can be counteracted with healthy vegetables, right? Gahh this looks delicious! What a great idea! You are so creative with your dishes. I just love it! Hi, I have been following you for awhile and admiring your work. 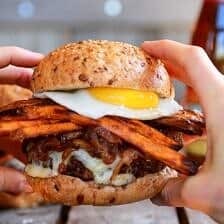 I tried couple of recipes and they were totally awesome! I am Turkish and your ‘gozleme’ recipe is absolutely amazing! I will definitely try that too.. 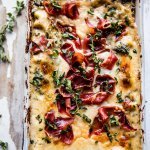 I have to say that I have been following your site for about a month now, and I am loving all the unique recipes you have. I like to think I am good at creating different things, but you have inspired me. Thanks so much for all your amazingly creative recipes. Keep it up. As it is said, ‘variety is the spice of life’. 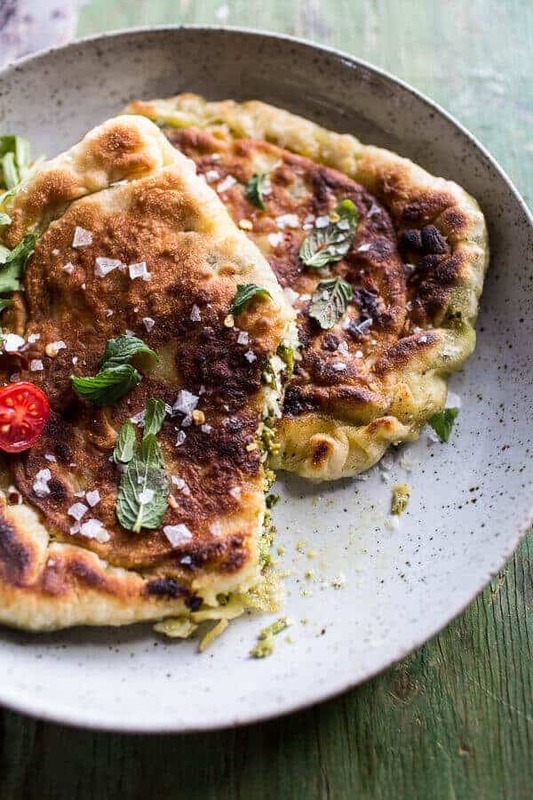 These flatbreads look so, so good. I’m loving that pistachio pesto! Oh man, these sound incredible. I imagine the asparagus adds a great bit of texture too, so it’s not too stodgy. I’m going to HAVE to give these a go. Wow, I made this last night. It was the best thing I have ever put in my mouth!! I’ve never heard of this before, but it sounds like straight heaven!! Yum! Never heard of this, but it sounds incredible!! 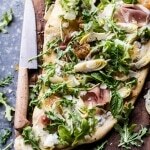 With pistachios, cheese, basil–you got me pegged! THIS is the real deal! Made this for dinner last night and it was FAB! Had a bit of left over cheese filling and pesto, so I topped a grilled portabello with a bit of baby spinach and the cheese and pesto, then gave it a quick broil for a yummy lunch. You make the most terrific combinations of flavors. Thanks!! I made these last night and they were delicious! Everyone loved them! The only thing about this recipe was that the dough only yielded 5 gozlemes. I let the dough rise a lot, rolled it out very very thin, and I was only able to make 5 gozlemes that were very small (like the palm of my hand). Other than that, they were very tasty and were a hit last night! Hey Jen! I am really excited you enjoyed these, thats awesome! Sorry that they did not yield 8… Maybe I miscounted when I made the recipe.. I am not too sure. But thanks so much for letting me know, and I am so happy you loved them!! ?